BILOELA junior rugby league players had a sign on with a difference this week getting a visit and coaching session from NRL stars Chelsea Baker (Queensland and Jillaroos), Joe Ofahengaue (Broncos) and Adam Doueihi (Rabbitohs). About 60 junior boys and girls swarmed on to the Biloela rugby league field to get involved and have fun training with the NRL stars and get some playing skill tips. Club president Mark Moon said the afternoon sign-on was a good success with a good number of juniors turning up. "There is a good crowd here today of parents and children,” Mr Moon said. Coaching co-ordinator Brendan Molloy was keen to get the juniors into gear and start training for the season ahead. "We will be working on building their playing skills and be more competitive during the season,” Mr Molloy said. The club is aiming for seven junior teams from under-7 to under-17 and girls can play mixed with the boys up to under-12. The visit was part of the NRL's annual Road to Regions tour, providing an opportunity for townships across Australia to meet some of the stars of the NRL before the season starts. 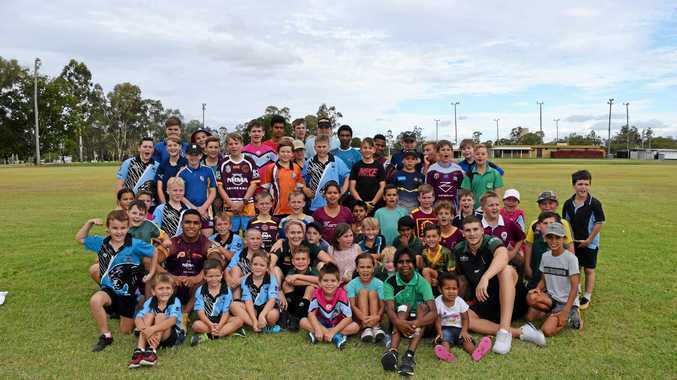 NRL head of government and community relations Jaymes Boland-Rudder said the Roads to Regions tour also provided the players and the game the opportunity to promote positive education and well-being messages amongst communities. 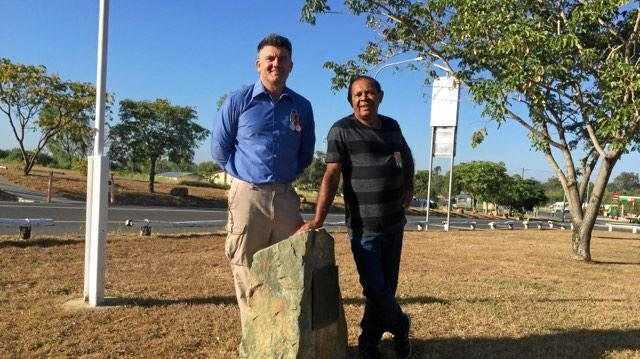 "The Roads to Regions tour is a fantastic way for our players to say thank you to local communities for their support of rugby league,” Mr Boland-Rudder said. As part of the tour, the NRL will also deliver its State of Mind grassroots program with more than 95 junior rugby league clubs taking part of the program last year. There is an upcoming movie night on February 9, with the gates opening at 6pm and the movie starts at 7pm and will feature Hotel Transylvania 3. Mr Moon also said there was a financial support scheme by the State Government to help with club sport fees called Get Started, for Queenslanders aged five to 17 possessing a healthcare or concession card. Go to www.qld.gov.au/ recreation/sports/funding/ getinthegame/getstarted/ parents.